Announcing Kansas City's Most Deserving Couple! 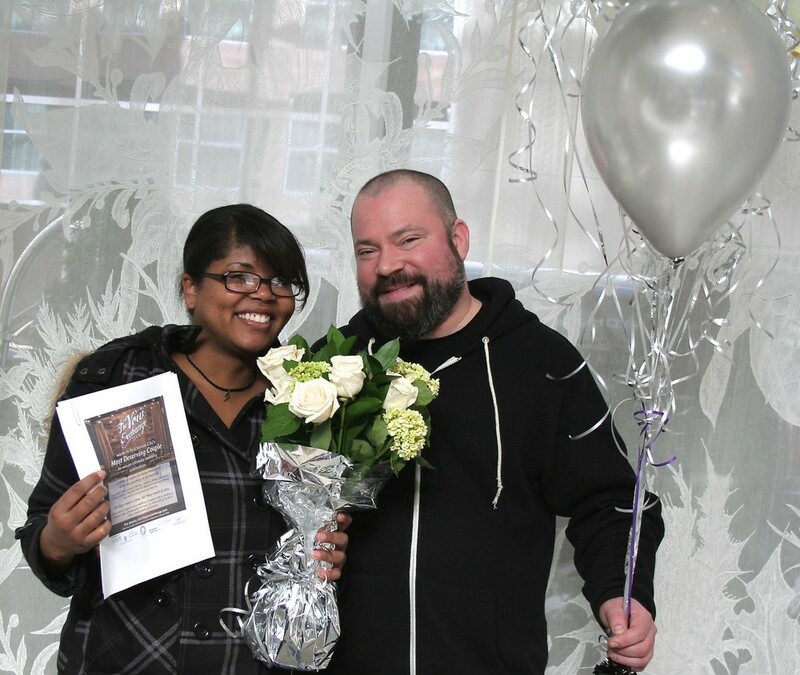 At The Vow Exchange, we wanted to give away a free intimate wedding ceremony. We asked people to nominate a couple who they feel are ‘Kansas City’s Most Deserving Couple’ – a couple who wants more than anything to get married, yet has had to endure such hardship that they cannot afford to make their wedding day a reality. We partnered with seven local companies and sponsored a contest where anyone could nominate a couple who they thought deserved to win a wedding. And the response was overwhelming – not only the scores of nominated couples and their stories of love and strength through hardship after hardship, but the outpouring of support from those who nominated them. With so many nominations, and so many deserving couples, it was hard for us to pick one to win. But we did. We found a couple who has been engaged for years, and endured multiple setbacks that might have ended a love that was not as strong as theirs. Marlena Hayes and Adam Lichtenauer are an interracial couple who are celebrating 10 years together this February. While they have all the support in the world from her family and their friends, there have been some people in their lives who are uncomfortable with the thought of their relationship. Having to pay for the wedding themselves, they’ve been working extra shifts for years to save enough money to realize the dream of their big day. But life has kept getting in the way. They’ve endured car accidents, depression, and four deaths in the bride's family within eighteen months of each other. And they’ve kept having to dig into their savings. Most recently they received a 30-day notice to vacate their home of 5 years because the landlord sold the house. Despite it all, they're happy because they’re together. Adam has a big smile and an even bigger heart. He's the drummer for local band, taught drum lessons to troubled youth and for School of Rock, and he’s a live music sound engineer. Marlena is clever and happy, and will do anything to help a friend. When she isn't tending bar, she’s volunteering with a group she created called Zen & Sin that helps women rebuild their confidence and self-esteem. They don’t ask for much, just to work hard and live a good life together. And this Valentine’s Day, we surprised them with the wonderful news that we are giving them a free wedding package. They will receive a ceremony from us at The Vow Exchange in downtown Kansas City for them and up to 40 guests, a bride’s gown from Something White Bridal Boutique, groom’s attire from Houndstooth custom tailored fine men’s clothing, lighting and music from Platinum Productions, flowers from Hitched Planning & Floral, limousine service from Kingdom Transportation, and a cocktail reception at Affare restaurant. Planning for the wedding will begin very soon, and all fittings, sponsor visits, and the buildup to the big day will be documented by Her Life Magazine. You can ‘like’ our Vow Exchange Facebook page to receive updates of each step in the planning process, and see photos of the couple as they happily plan and eagerly await their big day. Please join us in congratulating Marlena and Adam. And we hope you will also celebrate them and show your support by following the joy of their wedding planning process on Facebook. Theirs is truly a love story worth telling, and we cannot wait to see it unfold!